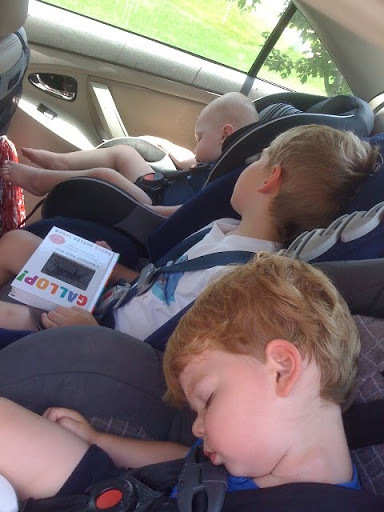 A summer with 3 little boys! 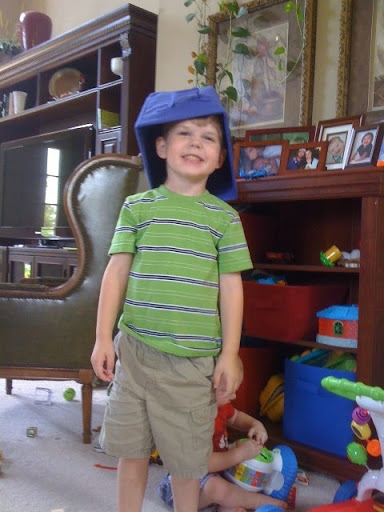 This summer I kept to little boys Jackson (4 years old) and Carson (almost 2) , as well as, Lane obviously. They had such a great time playing together. 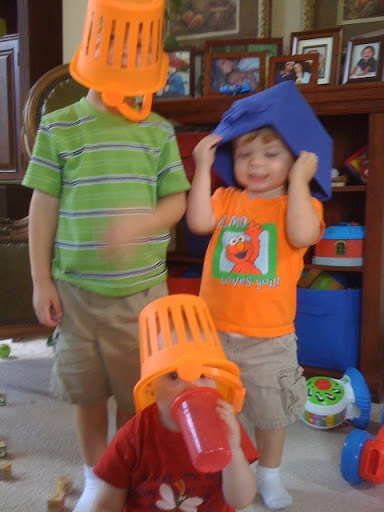 Silly little bucket heads! 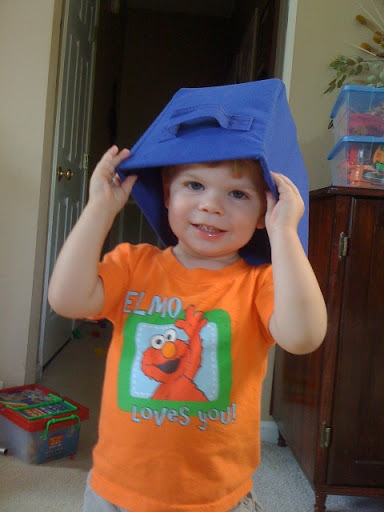 The big boys had such a great time playing with the buckets. 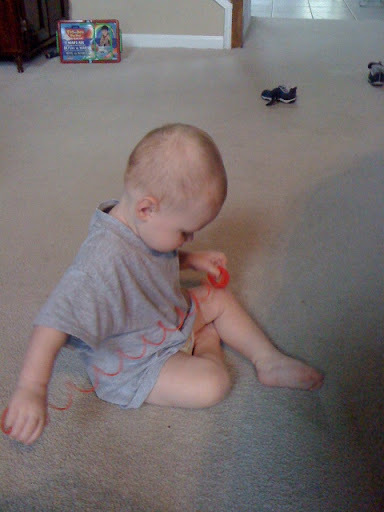 Lane enjoyed that they were distracted, which allowed him to steal a sippy cup without being detected! 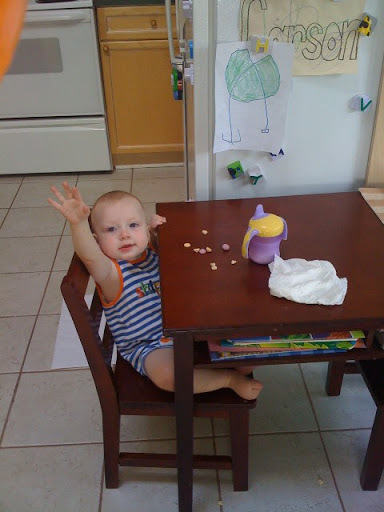 Lane loved sitting at their big boy table to eat snack! He would get so excited when I let him sit here instead of the highchair. 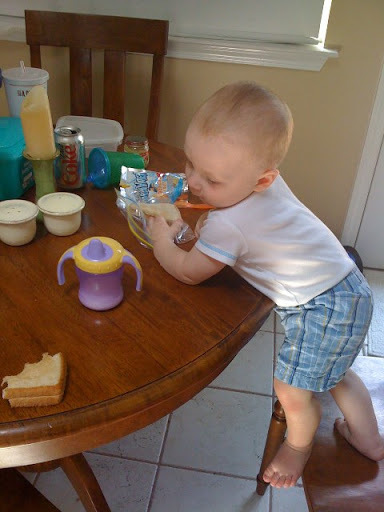 He also liked to climb on top of the table whenever I turned my head for a second! As I mention, he is a fantastic climber! Here he has climbed up to see if he can eat the rest of Jackson and Carson’s lunch. He really wanted their sandwiches. 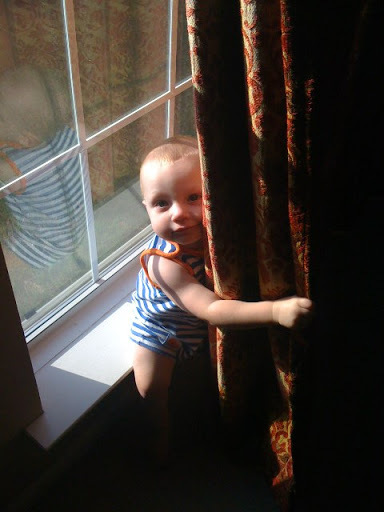 Before Lane, I would never have noticed windowsills. These, however, are great windows. They are a perfect spot to sit and play peek-a-boo! It also doubles as a road or parking garage. 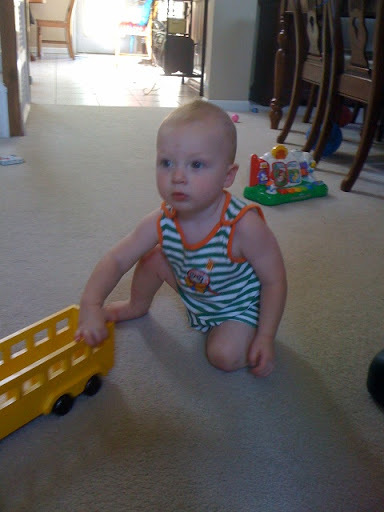 Before this summer, Lane really did not have many toy cars or trucks. He fell in love with all of Jackson and Carson’s. 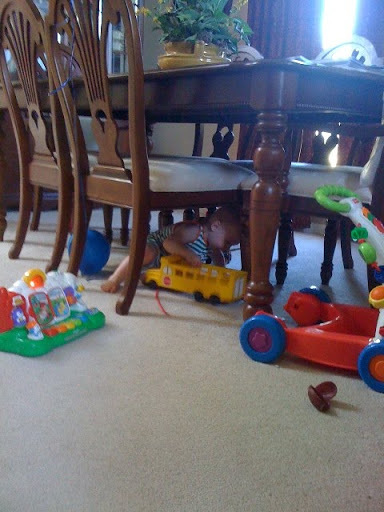 Here he is driving the bus under the table. One of our last fun outings of the summer was a trip to the zoo. I forgot to take pictures while we were at the zoo, but here is an after shot. I would call it a successful zoo trip! Sweet babies!! Ok, I won’t lie. 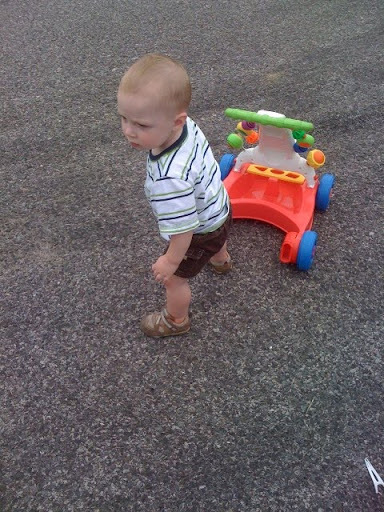 I just about cried when I realized that my BABY was big enough to play outside in the cul–de-sac with the big boys. 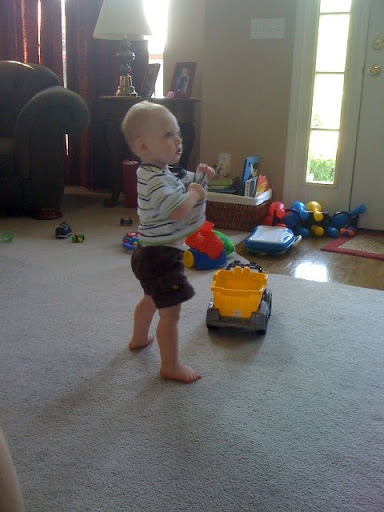 It just seemed way to soon for him to be out pushing toys around. He even fell and got his first skinned knee and hand. He did not cry at all! He just growled at the push toy like it was its fault he fell down! Crazy boy!